Have a cracked driveway, crumbling concrete stairs, or loose sidewalk? Looking for concrete contractors in Fort Wayne? You've come to the right place. Here at Platinum Crete, we offer concrete services like stamped concrete, patios, walkways, driveways and foundations. We'll even repair your broken concrete! We work with professionalism you cannot get elsewhere. Worried about your dangerous, damaged concrete? Don't be! Whether your concrete is broken, cracked, chipped, weathered, offset, unsecured or needs to be replaced altogether, Platinum Crete can take care of it for you. We take pride in the many years Platinum Crete LLC has served our local clients in the Fort Wayne area. Our service men enthusiastically serve these local counties: Allen County, Adams County, Whitley County, Wells County, Dekalb County, Huntington County & Noble County. From cement repair to scratch projects, we've got you covered. If you're frantically searching for a reasonably priced concrete company in Fort Wayne, Indiana, look no further. Platinum Crete will take care of your cement needs whatever the size, "no job is too small!" Cracked concrete is our specialty! Are you a business owner with a dangerous sidewalk, crumbling wall, or a new parking barrier installed? Did you get a sign that needs to be cemented in? Are you a homeowner with what seems to be a minuscule section of your foundation that still bothers you every time you walk by? Did someone knock over your mailbox and you need a new one cemented in? Do you need some bricks or stones secured? Platinum Crete LLC is here to help! 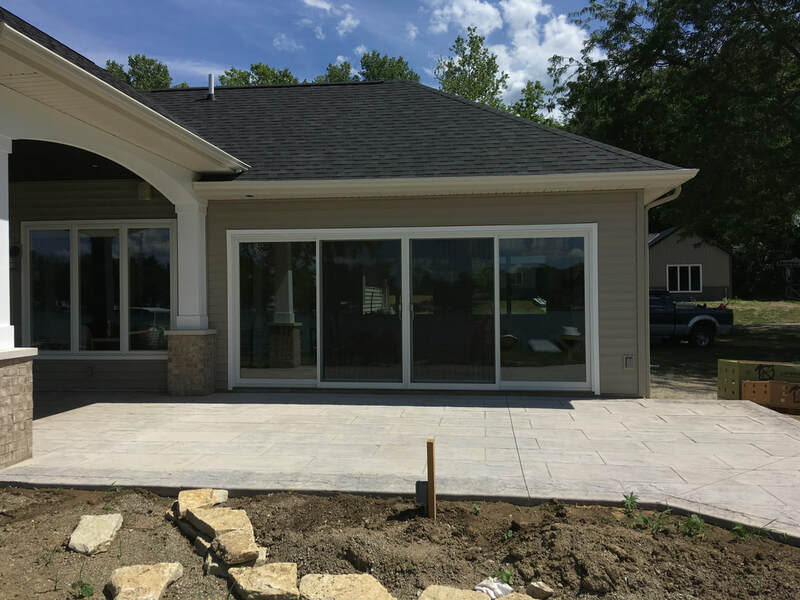 To see the level of professionalism we deliver, you can take a look at some of the many beautiful concrete projects we've completed in our gallery! Need some more information? To check out our rates and get concrete services now, fill out our no-obligation quote form on the right-hand side of our page (on mobile navigate to below this text). We look forward to making your home or business more beautiful! ​ Platinum Crete LLC, Fort Wayne Indiana.